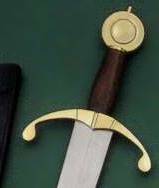 The single-hand Marshall Sword by Paul Chen epitomizes quality and authenticity in broadsword construction. 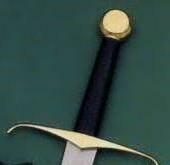 The sword is based on an original, now in a British museum, used by one of England’s finest knights, Sir William Marshall, who served the crown faithfully under Henry II, Richard the Lionheart and Jack Lackland. 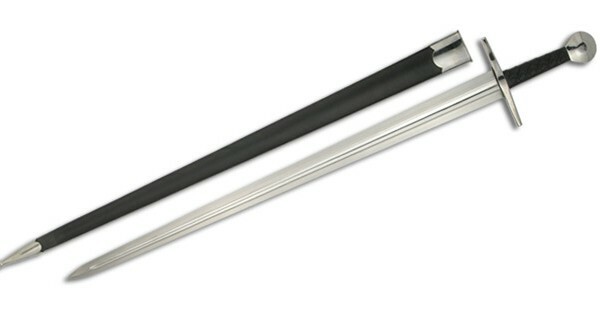 The Hanwei SH2000 version features a forged high-carbon steel blade with excellent handling characteristics. Tempered to a tough HRC 54, the blade section features a central ridged fuller and full-length distal taper – a tough test for the bladesmith but resulting in a superb combination of speed and strength. 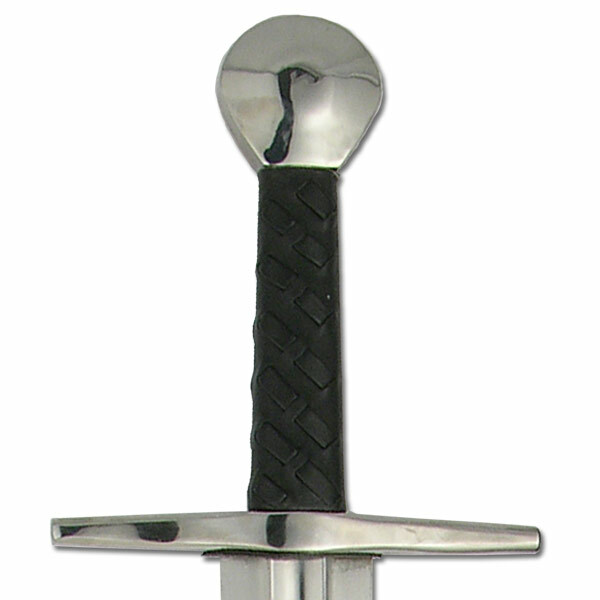 The grip is leather wrapped and laced and the guard and pommel are elegant in their functional simplicity. 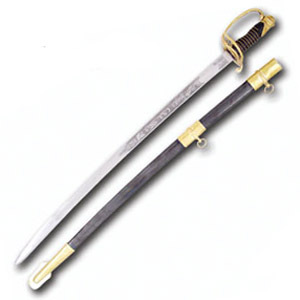 The scabbard is leather-covered with steel mounts. 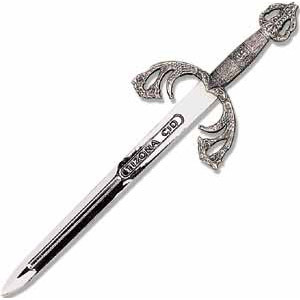 See models SH2001 for the forged-folded version and SH2046 for the “Practical” version of the Marshall sword.